Time to use those big brains of ours that have endured a long summer of rest and an abrupt start to fall. As you probably know, the 2015 Emmy Awards are on Sunday. For the first time ever, while our favorite actors and actresses are gearing up for the show, so are we. Thanks to actress Amy Poehler and the Television Academy, we at home have the chance to ask our own questions on the red carpet with the Twitter hashtag #SmartGirlsAsk. 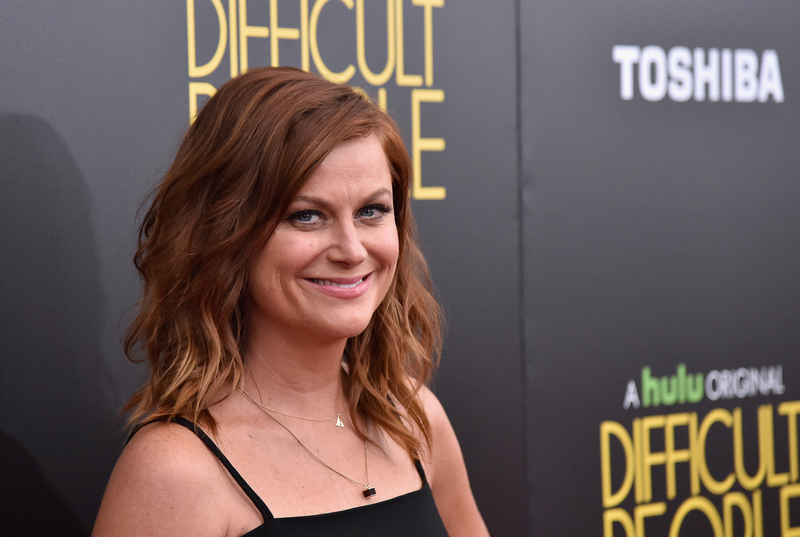 The initiative was created by Amy Poehler's organization "Amy Poehler's Smart Girls," which encourages women to "change the world by being yourself." Once again Ms. Poehler, you have proven to be a big yes. The Television Academy has decided to team up with the popular actress in order to solve the issue of shallow and meaningless red carpet interviews that have taken place in the past, and help promote intelligent interviews for the women of the entertainment industry. The two organizations have created the #SmartGirlsAsk hashtag in order to let fans and Emmys viewers in on the action. Viewers are given the opportunity to ask their own, smart, thought-provoking questions to actors in order for these celebrities to get the chance to voice their opinion on important issues, or simply the chance to give the audience insight into their craft. It's a brilliant way to tackle a current pervasive issue in the entertainment industry while giving viewers the chance to participate live. All of the talented women we watch on TV will get the chance to answer hard-hitting questions that would probably never be asked of them on their everyday red carpet. And the best part is that anyone can get in on the action. These deep questions that have already made their way through the Twittersphere with the #SmartGirlsAsk hashtag, and provide perfect inspiration for questions that you might want to ask of your favorite celebrities. This question is so deep that it sounds like it could have been a college essay prompt. Thankfully, no applications are in sight for our female Emmy Awards contenders. It would be nice to hear their answers to this one. Way to keep things real! With all of the craziness that we know and love in Hollywood, I can only imagine the struggles that some of our favorites go through. I would love to hear how they remain level headed through it all. Behind every star is the team of people who helped them become the person they are today. We're all curious to know the positive influences behind our favorite TV actresses. Sometimes, it's hard to remember that, even though some of our favorite celebrities are majorly successful now, they didn't come out of the womb as Emmy-nominated actresses. If there is any question I want to see asnwered, it's this one. Every woman needs their own pump-up playlist; I am a firm believer in that. Plus, I want to know if listening to Beyoncé makes Sofia Vergara feel as fierce as I do when I do the same things. Have a lot of questions that you are dying to have answered by some of the biggest TV actresses of our time? Or just want to see those actresses entering a dialogue a little more important than simply which designer they are wearing? Join the conversation this Emmys weekend by participating in #SmartGirlsAsk, and, who knows, you just might get your questions answered.